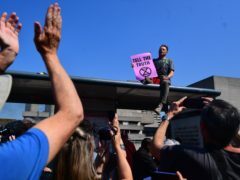 More than 200 people were killed and hundreds more wounded in eight bomb blasts that rocked churches and luxury hotels mainly in or near Sri Lanka’s capital on Easter Sunday, the deadliest violence the South Asian island country has seen since a bloody civil war ended a decade ago. Karim Benzema claimed a hat-trick as Real Madrid recovered from a lacklustre first half to condemn Athletic Bilbao to a 3-0 defeat at the Bernabeu. Great Britain will play at Fed Cup’s top table for the first time in 26 years after Johanna Konta and Katie Boulter both produced comebacks to secure a 3-1 victory over Kazakhstan. Chelsea are still holding out for £100million to sell Eden Hazard to Real Madrid. Manchester United had an Easter Sunday to forget as they crashed to a humiliating 4-0 defeat at Everton – a performance former defender Gary Neville described as “rancid”. Norwich boss Daniel Farke says it is a privilege to work with his side as they bid to clinch promotion to the Premier League with victory at Stoke on Monday. Celtic’s journey towards their eighth successive Ladbrokes Premiership title stalled against Hibernian in a goalless draw at Easter Road. CCTV images have been released of a man police believe could help with their investigation into a serious assault at a Glasgow nightclub on Boxing Day. An investigation has been launched after a 26-year-old man was bundled into a van and assaulted before being left at the side of a road in East Kilbride. 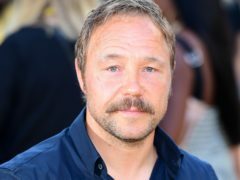 Stephen Graham has said he almost “lost” himself while playing a violent fascist in This Is England, and that the role nearly ended his acting career. The landmark Free Derry Corner has been repainted to reflect revulsion felt at the killing of Lyra McKee.